Are you in the Albuquerque-metro area? We can offer you CASH and purchase your used and unwanted IT and telecom equipment. Let us help you recover your valuable assets by turning your old equipment into CASH today! We are interested in your decommissioned electronic and computer equipment. Please email us to see how we can help you recover valuable dollars for your used equipment, or how we can help you recycle or salvage it. 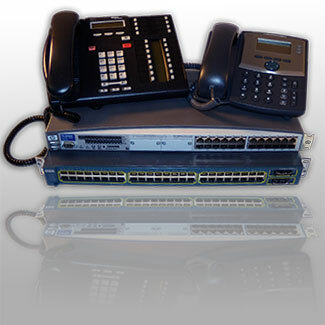 We buy, recycle, and salvage telephones, computers, routers, switches, PBX equipment, electronics, video and audio equipment, UPS systems, and all manner of telecom and datacomm equipment. We are the used phone buyer in Albuquerque as well as the State of New Mexico. You can view a large list of phones we buy at www.usedphonebuyer.com. Just send us an email to buyphones@dynamiccommsource with your contact information and a list of your equipment, with as much information as possible and we will get you a CASH offer fast. We buy used phones and old phones of many types and models such as; Polycom, Aastra, Avaya, Siemens, Nortel, Shoretel, Panasonic, Toshiba, NEC, Yealink, Cisco, Mitel telephones, IP Phones, VoIP phones, and systems. We recover your assets by buying out of service business telephone equipment in large and small quantities. We want to buy old phones and buy phone systems and will get you an offer fast. In many cases, we will come to you and pick up you decommissioned electronic and computer eqyuipment. Email us today to see how we can help you recycle your used equipment.